When multiple op-ed pieces appear in the pages of the New York Times, Washington Post, and the CFR-owned Foreign Affairs authored by neocons simultaneously pleading with Trump Don't Get Out of Syria(!) all within the same week, this is typically an indicator that the president is about to do something good. Trump is set to meet with Putin one-on-one this coming Monday in Helsinki after a contentious NATO summit and a sufficiently awkward visit with Theresa May, and mainstream pundits' heads are exploding. The Post's Josh Rogin warns, Trump and Putin may be about to make a terrible deal on Syria, and Susan Rice suddenly emerges from obscurity and irrelevance to say in the Times that Trump Must Not Capitulate to Putin while urging the administration not to "prematurely withdraw United States forces [from Syria], thus thus ceding total victory to Russia, Mr. Assad and Iran." From North Korea to Afghanistan to Syria to Ukraine, Rice advises the typical regime change script of "harsh additional sanctions" anywhere the dictates of Washington are not strictly adhered to. Similarly, Eli Lake links together the main regime change wars begun under Obama while lamenting their potential winding down as a result of Putin and Trump meeting as indicative of living in "some alternate universe". "The price of Russian cooperation in Syria cannot be U.S. capitulation on Crimea," Lake writes, and further calls such a possibility "the most dangerous possible outcome." The Kagan-led neocon think tank ISW, meanwhile, is outraged(!) the administration appears to lack "the will to use" America's military might to counter Assad, Iran, and Russia, saying "the United States should invest now in building leverage for future decisive action." And then there's Senator Lindsey Graham's meltdown on Twitter this week in reaction to both the Syrian Army victoriously raising the national flag over Daraa and Israeli Prime Minister Benjamin Netanyahu telling President Vladimir Putin during a summit that Israel has no problem with Assad staying, so long as Israel can preserve "freedom of action" if attacked. This was enough to send Graham's head spinning: "Radical Sunni groups will say – correctly – that Assad is a proxy of Iran and the Ayatollah. It means the Syrian war never ends and ISIS comes back," he said in a strange twist of logic that gives credence to the arguments of terror groups. 'Without Assad’s blessing, the flags of Hezbollah and the Iranian Revolutionary Guard would not be on Israel’s front door,' Graham tweets in response to Netanyahu claiming Israel has no problem with Assad. In the past months there's been widespread reporting on a "secret" deal brokered between Russia, Israel, and Syria, which reportedly involves the Syrian Army agreeing to keep Iranian forces away from the ongoing successful campaign along the Israeli and Jordanian borders, especially the contested Golan Heights. ...So a willingness to accept Mr. Assad’s resumption of control over all of Syria is no small concession, said Amos Yadlin, a former chief of Israeli military intelligence who now heads the Institute for National Security Studies in Tel Aviv. The neocon pundits' last hope for military intervention in Syria has remained Netanyahu, and to see him fold must feel like a swift unexpected punch in the stomach, but more crucially the Syrian diplomatic cards have fallen in place just days before Monday's Trump-Putin meeting. President Assad has long vowed to liberate "every inch" of sovereign Syrian territory, something which but two years ago appeared impossible, yet which now looks increasingly inevitable. 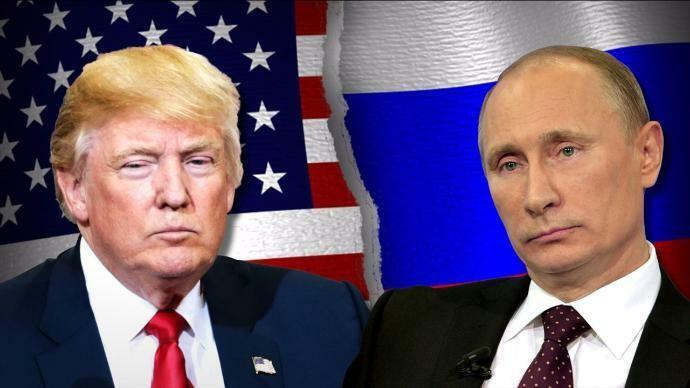 Should the Trump-Putin summit result in a green light that ensures Moscow and Damascus remain in the driver's seat and set the terms for Syria's stabilization, we could be witnessing the final diplomatic chapter in this dark seven-year long proxy war. However, Trump continues to be urged from various corners of the beltway foreign policy establishment to salvage and preserve what he can of the open-ended US troop presence in eastern Syria: the US must "preserve its interests in the conflict, namely... constraining Iranian influence in the country" as one Foreign Policy essay argues. And then there's the clearly observable pattern that seems to repeat whenever the administration announces it is poised to pull out of Syria. Indeed it seems to occur every time the Syrian Army is on a trajectory of overwhelming victory: an ill-timed and strategically nonsensical mass chemical attack on civilians supposedly ordered by Assad — inevitably giving the West an open door for military intervention, new rounds of crippling sanctions, and yet more international media condemnation heaped on Damascus. Precisely this scenario occurred just days after President Trump declared in the last week of March of this year that he wanted a complete US military pullout from Syria. What then immediately followed was the April 7 "chemical attack" provocation in Douma — just the thing that brought Trump's planned pullout to a grinding halt, instead resulting tomahawk missiles unleashed on Damascus. Or will we witness yet another last minute "mass casualty event" or other other provocation that pulls the US, Israel, and Russia into yet deeper direct military confrontation?